This is a crying shame. There are a number of alternative pain management techniques--including massage, acupuncture, ice/heat treatments, mindfulness training, and magnetic therapy�and now is a perfect time to test them. In the study published in the British Medical Journal, researchers acknowledged the need for more research regarding the placebo effect. We know that believing in any particular remedy is more likely to create a positive subjective report of improvement. It�s also true that taking any kind of action to alleviate pain results in some sense of ease. Does the placebo effect play a role in magnetic therapy? Of course it does�just as it plays a role in the effectiveness of medication. Does this mean the therapy isn�t useful? No. If it works, it works�and isn�t that what you really care about? �Trying something is better than trying nothing. �Trying something inexpensive is better than investing in a costly remedy that may not work for you. �Trying something natural and noninvasive is preferable to beginning a new medication. �It is easier to tell if a natural therapy is helping if you are not taking any pain medication that might interfere with the results. �Trying something and finding that it works for you is extremely valuable even if you are unable to find documentation to support your results. 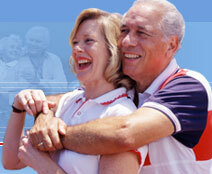 If you�re suffering from the pain of arthritis, you might as well test magnetic therapy. It can�t hurt, and it might really help.